From the moment you land. Until your last setting sun. Love is always in the air in Hawaii. Aloha. The minute you step off the plane, it welcomes you. 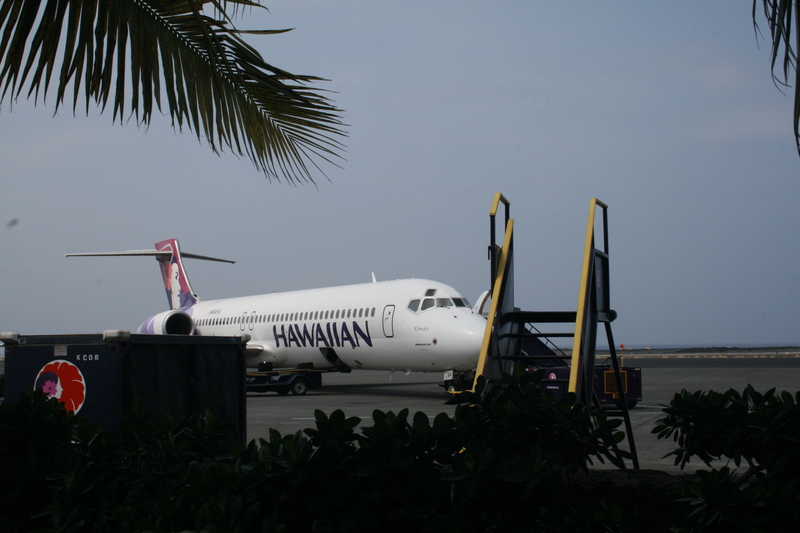 What is it about the smell of Hawaii? 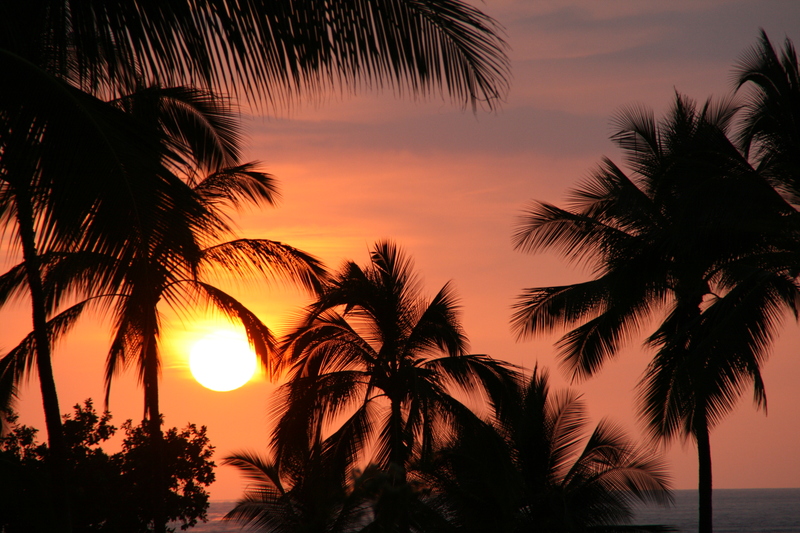 Is it the fact that you are on a Pacific island with pure, light tropical breezes? 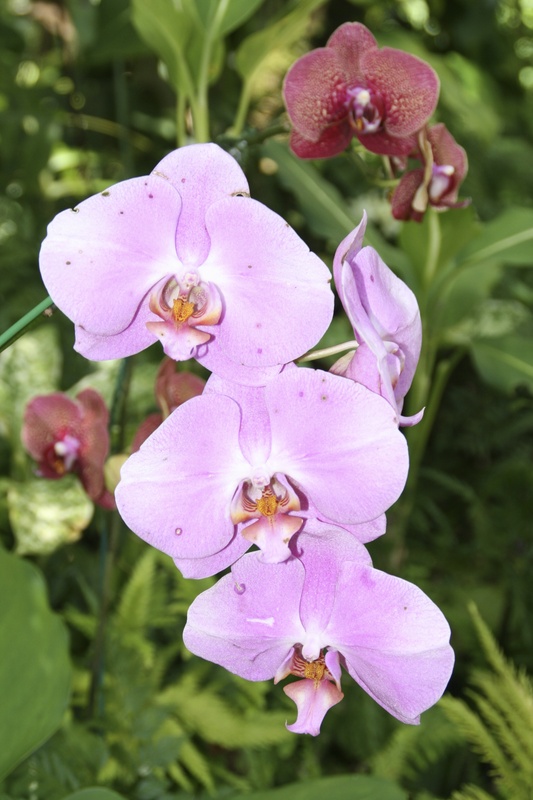 Or, the flower-lined paths that warmly welcome you wherever you go? This path laced with Bougainvillea, is especially inviting. Everywhere you look, you see color. 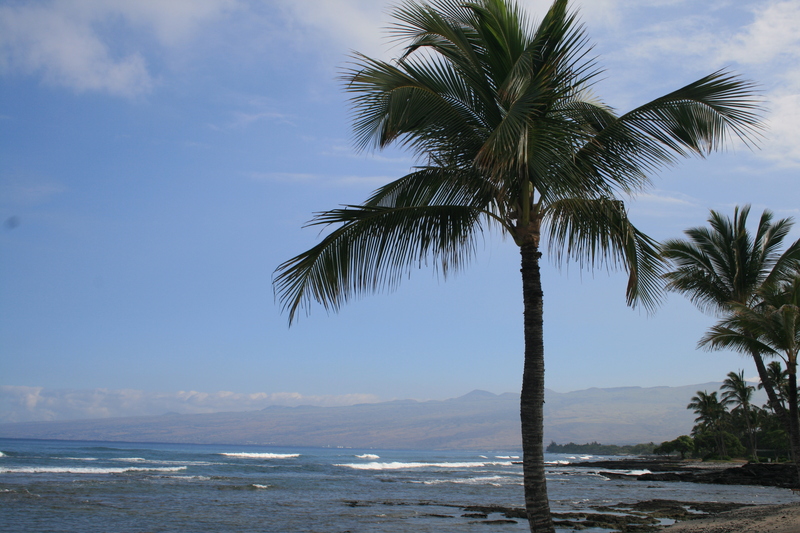 On the Big Island, the black of the lava, mixed with the ocean blues and tropical flowers, is especially inviting. 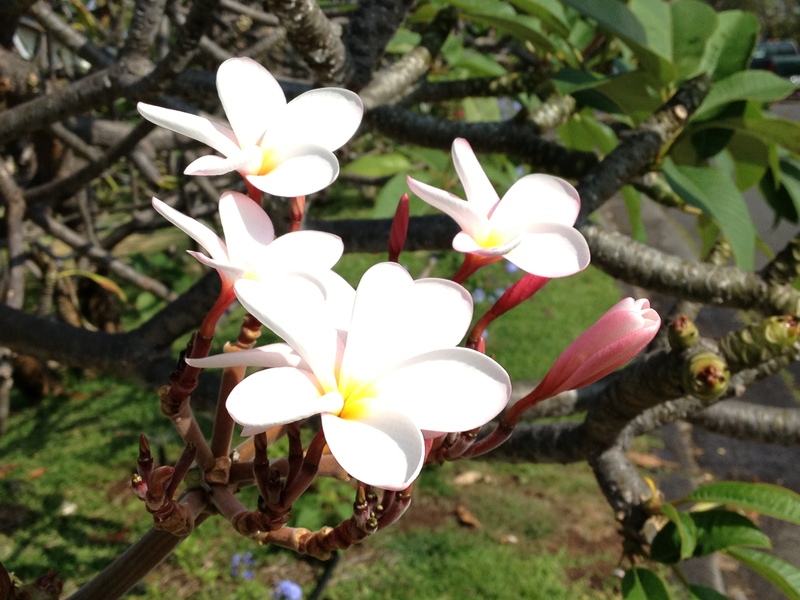 Or, is it one of the world’s sweetest scents of all—plumeria? The yellow ones seem to make the most fragrant leis. When you see them in a natural setting, it’s one of life’s best reminders that you should never get too busy to stop and smell the flowers. 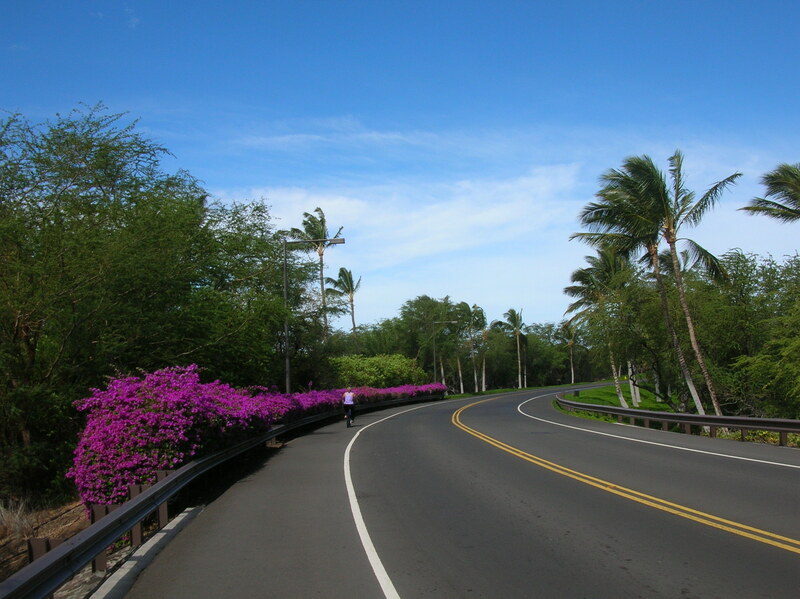 Bright purple, red, white, orange and pink, the bougainvillea colors in Hawaii are unforgettable. 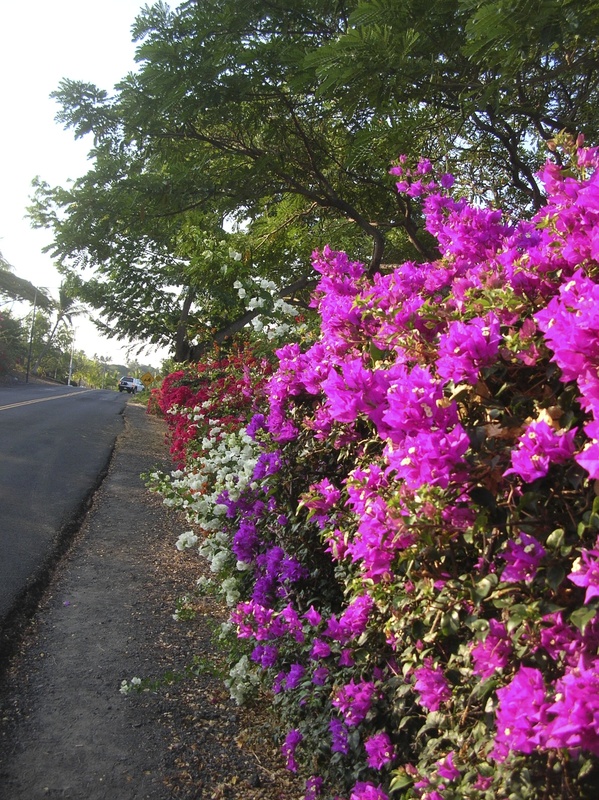 They border the highways and add bursts of color to yards, public spaces, beaches and rugged terrain. 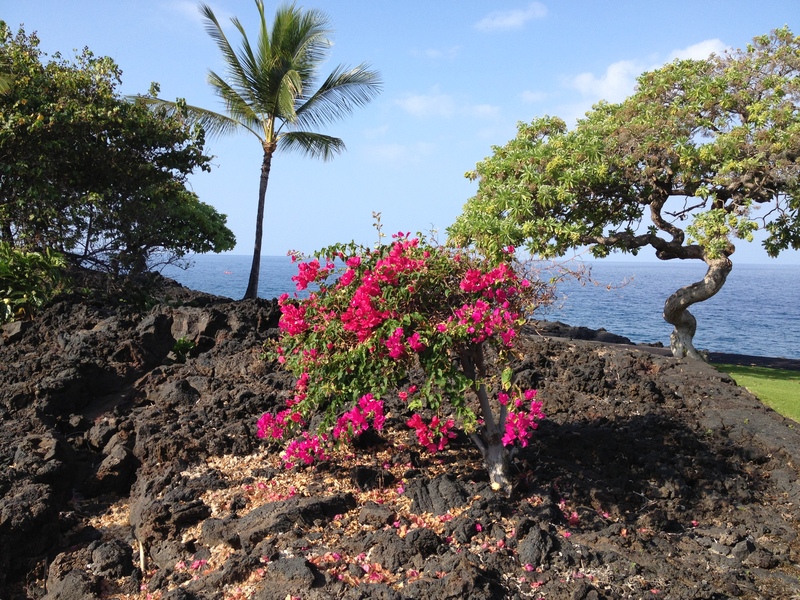 They even seem to thrive in fields of lava, which gives a colorful contrast with the black rock and other tropical plants and trees. 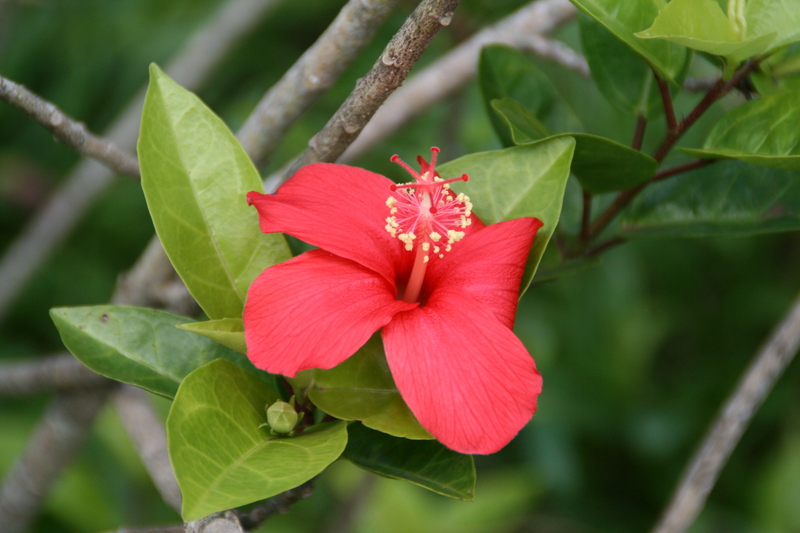 With deep green leaves, the bracts (the leaf-like structures just below the flower) offer the bursts of color. If you look closely, you will see a tiny white flower inside. They are most impressive in mass plantings, hedges or barriers and seem to flower the most from September through late spring. Some years we have noticed that they seem to be more vibrant than other years, most likely depending on rainfall as they thrive in slightly dry conditions. 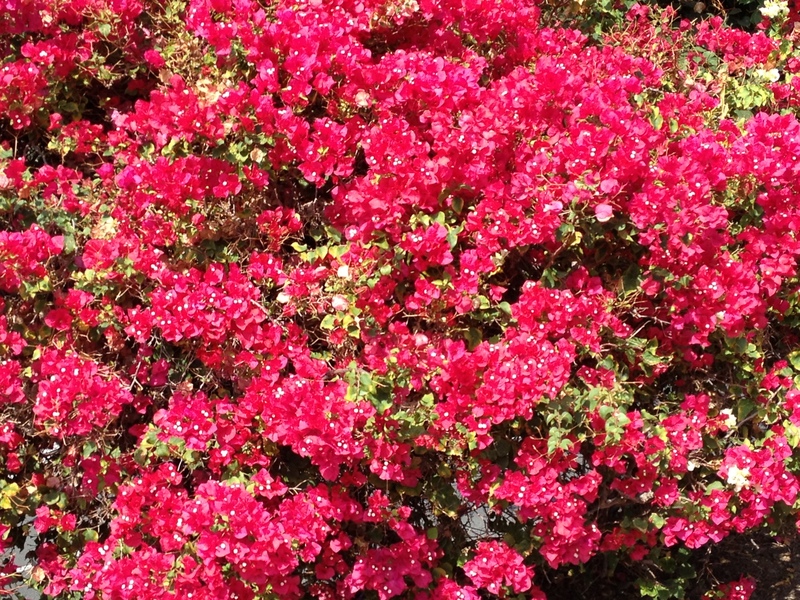 For scent, plumeria is one of my favorite flowers in Hawaii, but when it comes to bursts of beautiful color, bougainvillea never disappoints.